The oatmeal cherry cookies are so tasty, they are hard to keep around the shop. Made from fresh ingredients and top quality oatmeal, these cookies have a wholesome home-cooking taste we think you’ll enjoy. 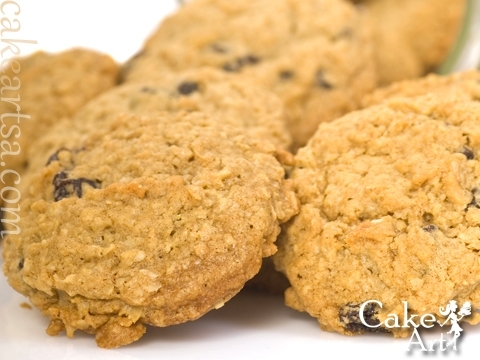 Please come by the bakery and try some oatmeal cherry cookies. We’ll try to scare up a glass of milk for you! We bake oatmeal cherry cookies from scratch every day, but we do run out so please call us at (210) 277-0308 to reserve your cookies.